Right after the Xiaomi Redmi 5 launch in India, the Redmi 4 has received a permanent price cut. Xiaomi India today announced that it’s reducing the price of the second best-selling smartphone of 2017, the Redmi 4 by Rs 500. The 3GB of RAM and 32GB storage variant of the Redmi 4 costs Rs 8,499 now, while the 4GB of RAM and 64GB storage model is retailing for Rs 10,499. Also, it seems like Xiaomi has discontinued the 2GB RAM variant of the Redmi 4 as all the product listings on Amazon India are removed. While on Mi.com, the product page still shows the 2GB RAM variant, but it’s out of stock. Also, the best part is Xiaomi made the device available for open sale on both Amazon India and Mi.com, but only the 3GB RAM and 4GB RAM variants are available. 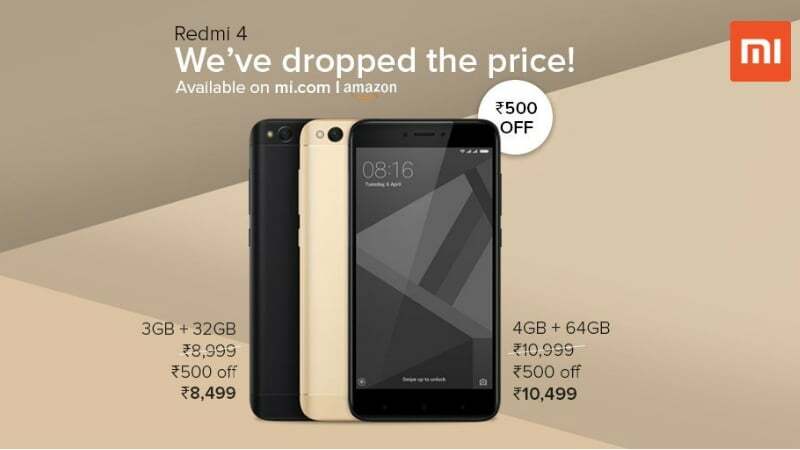 So if you’re interested in getting the Redmi 4, head over to Amazon India or Mi.com to purchase it without waiting for any flash sale. However, do make a note that Xiaomi has launched the Redmi 5 in India, which in many ways in a significant upgrade to the Redmi 4. The Redmi 5 starts at Rs 7,999 for the 2GB of RAM and 16GB storage model, followed by the 3GB of RAM and 32GB storage option at Rs 8,999. Lastly, Xiaomi is selling the 4GB of RAM and 64GB storage option of the Redmi 5 at Rs 10,999 in India. 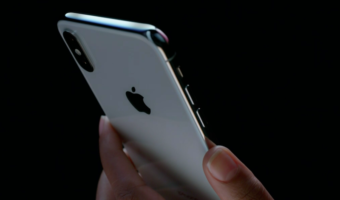 The first sale of the smartphone is set for March 20 and that too on Amazon India and Mi.com itself. The Redmi 4 is powered by the Snapdragon 435 chipset, whereas the Redmi 5 offers a much better Snapdragon 450 SoC at just Rs 500 extra. Even if it’s tough to get your hands on the Redmi 5, we suggest you to wait for the flash sale on March 20 and get it, instead of going for the Redmi 4. And if you think your budget can extend up to Rs 10,000, get the Xiaomi Redmi Note 5 instead, which is the best value for money device available in the market today. Guys is Redmi 5 worth an upgrade from Redmi 4? Nikhil & Sandeep Bhai – Tell Her. Yeah but if you want complete value for money get the Redmi note 5/pro base version. How to Import the China Variant? That is Value for Money.